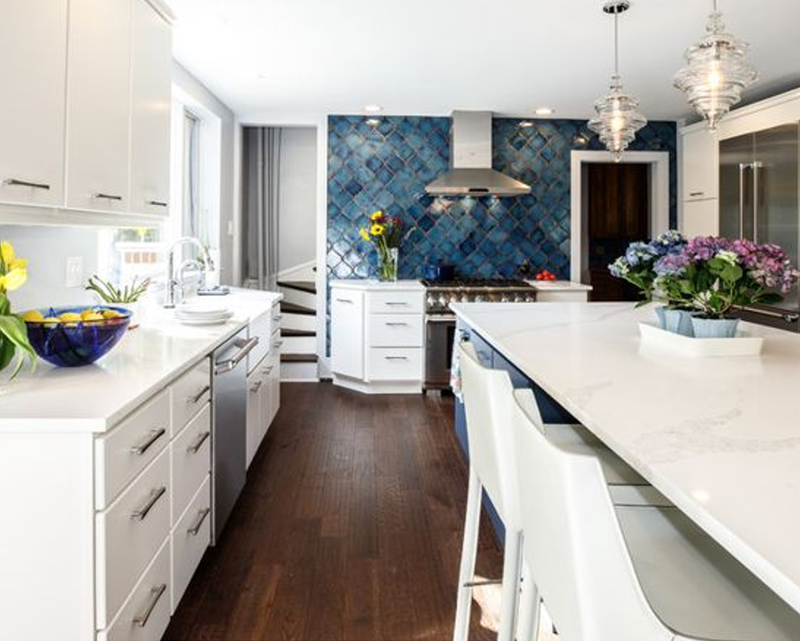 A Kitchen makeover can be a lot of fun and a white kitchen with blue accents in tile & Island make for an interesting combination. 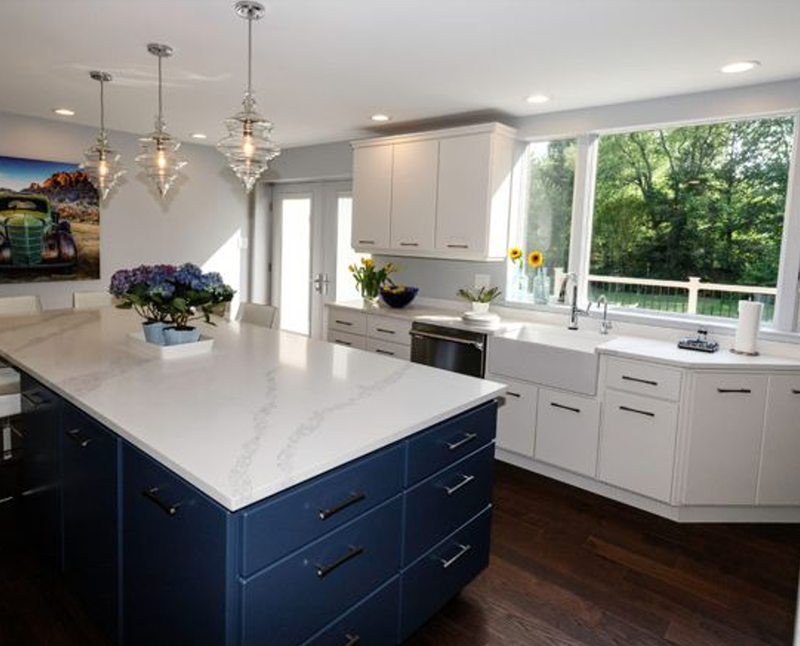 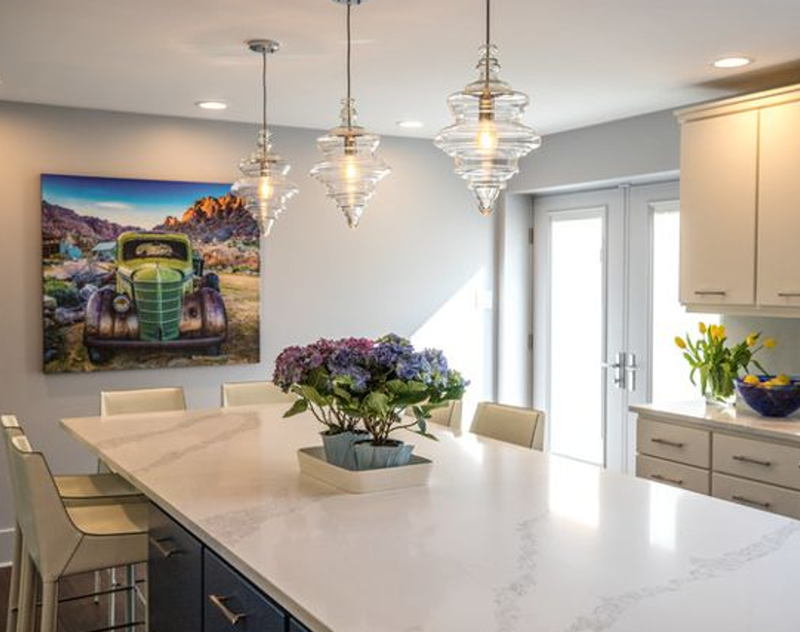 The Performance Kitchens team developed this Wynnewood, PA kitchen design by opening up an old space and changing some of the doors and windows. 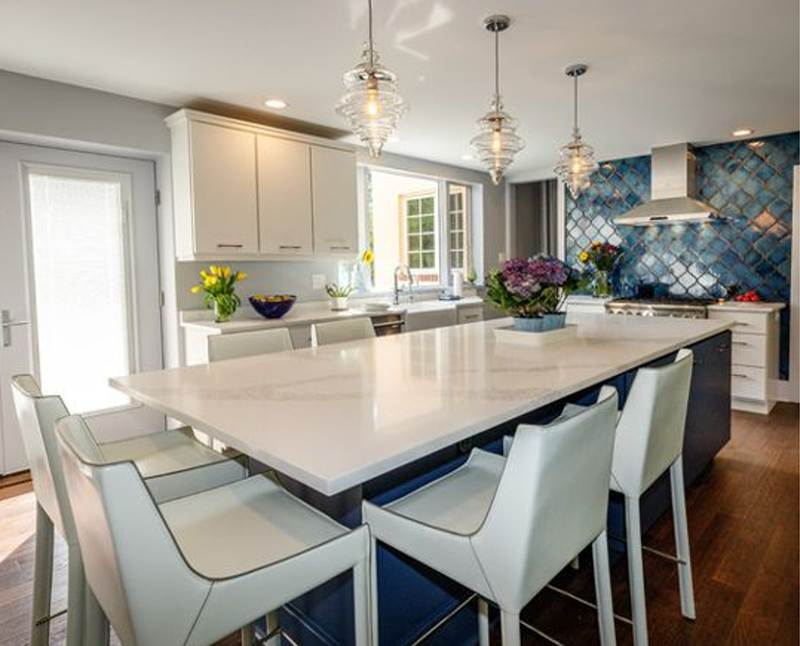 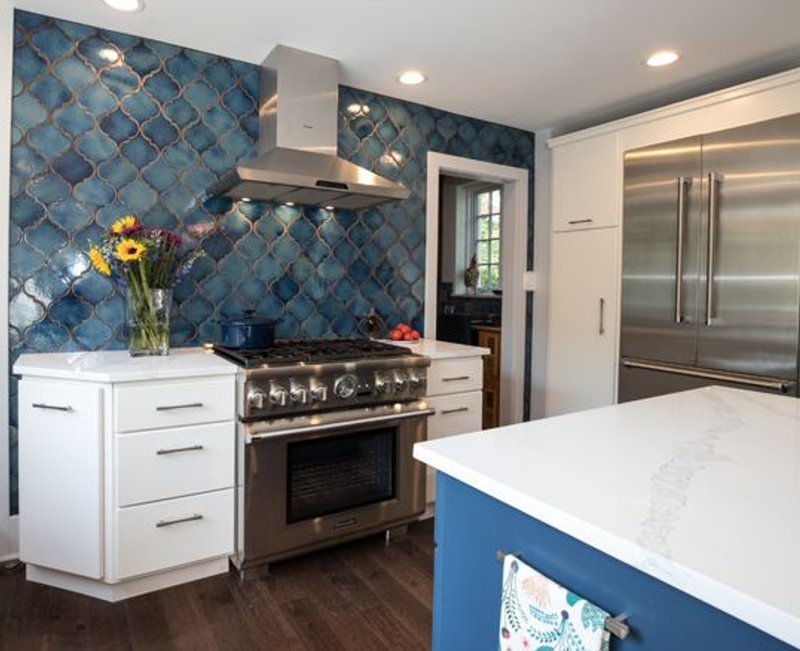 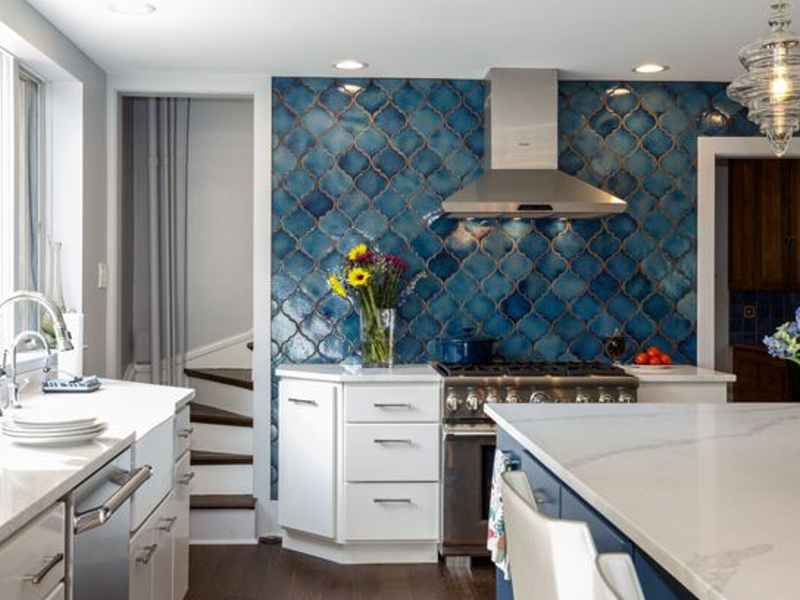 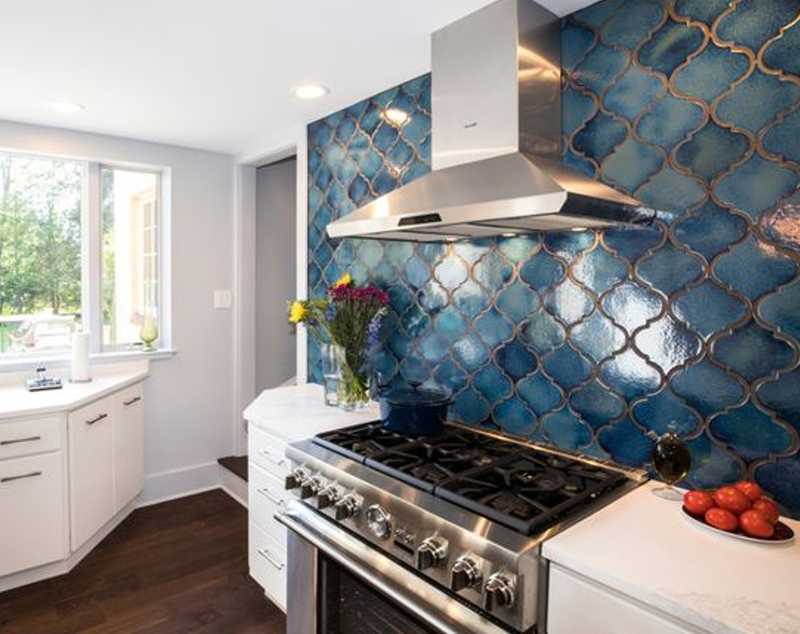 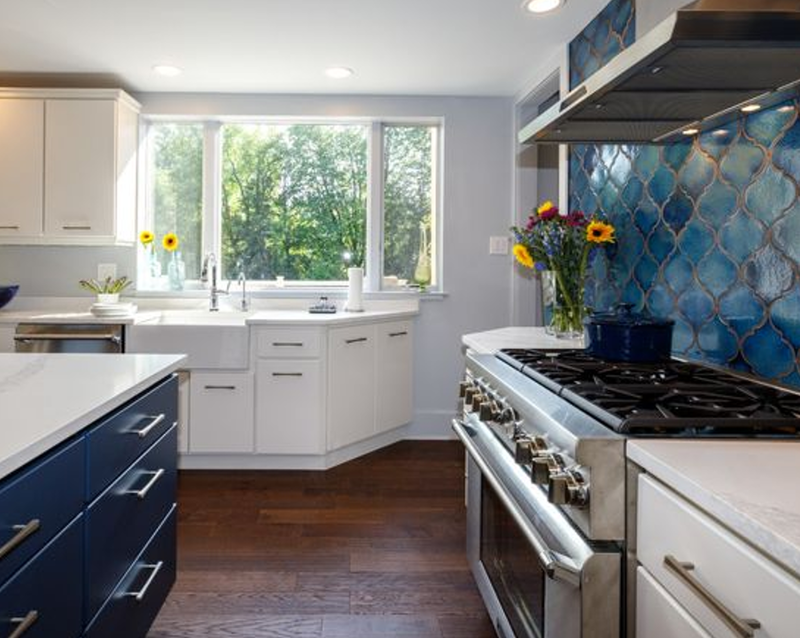 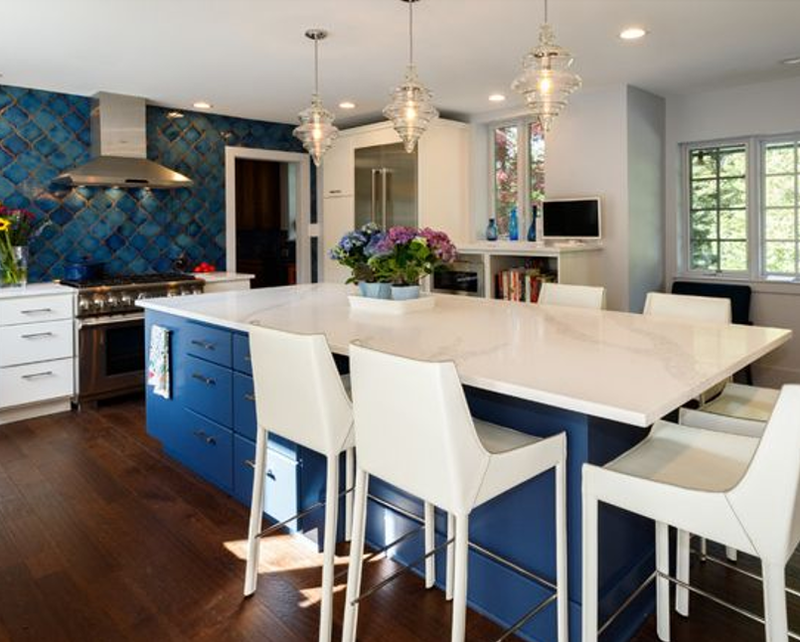 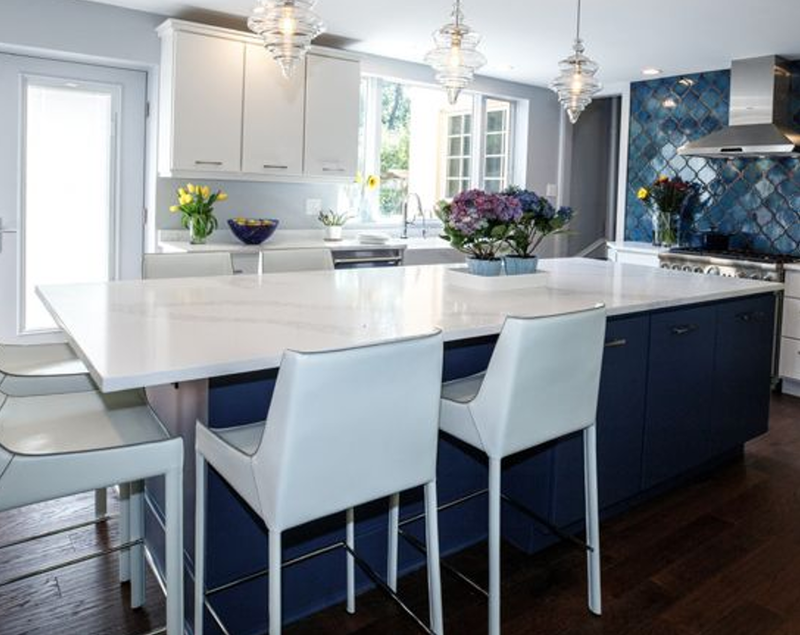 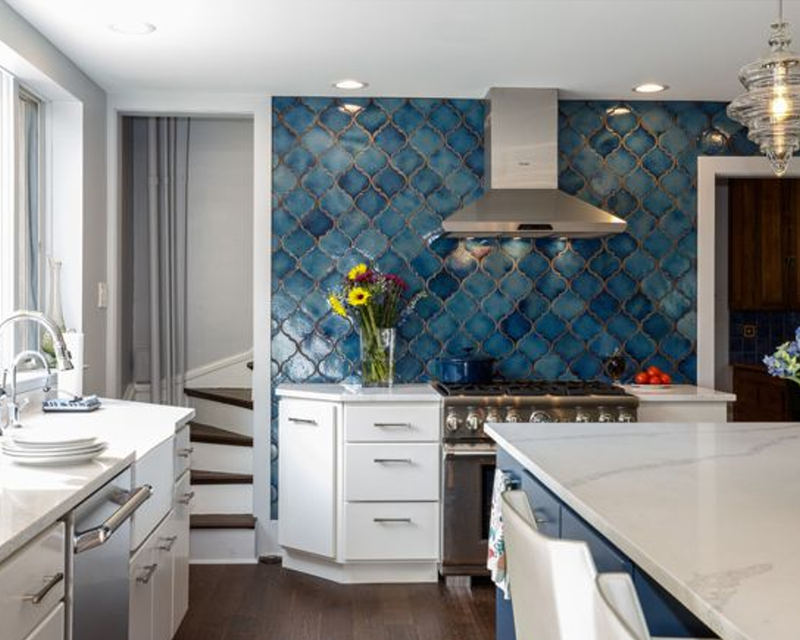 The selection of colors is also very important in this kitchen make over and the client really loved the tones of blue that were incorporated through the use of blue in the construction of the kitchen’s center island and in the blue tiles. 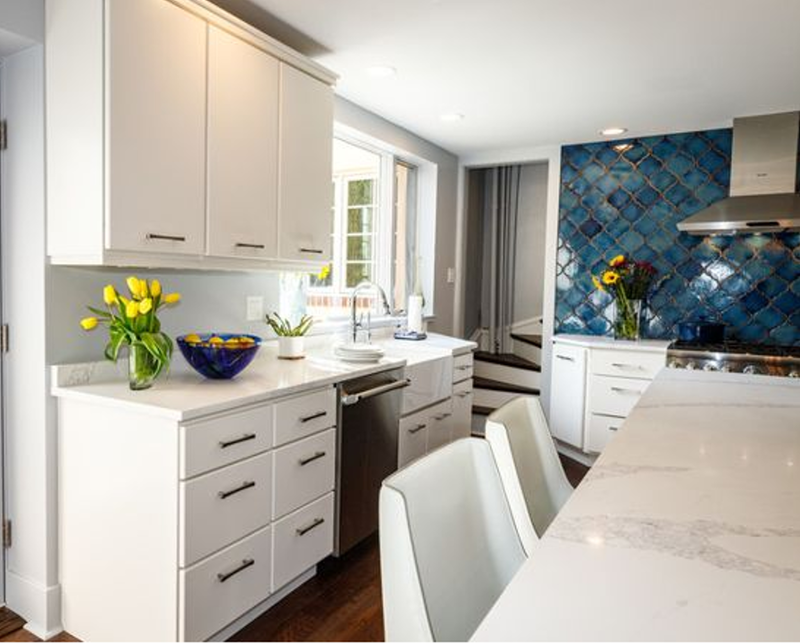 And remember – when you are reviewing this kitchen makeover, be sure to check out the before pictures!